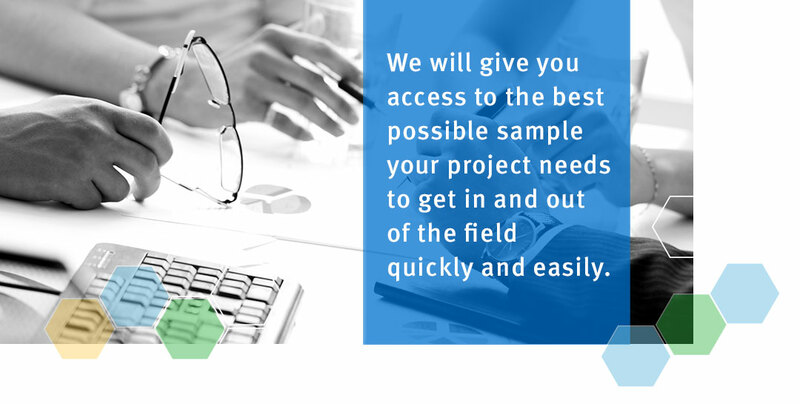 With EMI, you get an agile, focused team of research professionals with over 20 years of experience in building research sample. We’ll enable your project to deliver the data you need, even if the respondents you require are difficult to find or are in another part of the world. We’ll work with you as an extension of your team to provide hands-on project management with one point of contact, with an unparalleled level of responsiveness, creativity, and flexibility to navigate any issues. With the experience of more than 16,000 online studies and the breadth of over 150 online consumer panels and communities across 82 countries, EMI will give you access to the best possible sample your project needs to get in and out of the field quickly and easily. Our vetting and validation are unique in the industry, and our Network Quality Assurance Plan means quality sample delivery on any study you require. And when aggregating multiple sources for your market research study, our proprietary technology removes duplicate respondents. EMI delivers on even the most challenging sample groups and quotas, with access to respondents all across the globe for a wide variety of Consumer, B2B, and Health Care research targets. From grocery shoppers in the U.S. to complex global IT decision makers, we have the depth to deliver exactly who you need. EMI is committed to compliance with GDPR and other data privacy legislation. To request to be removed from our database, click here.